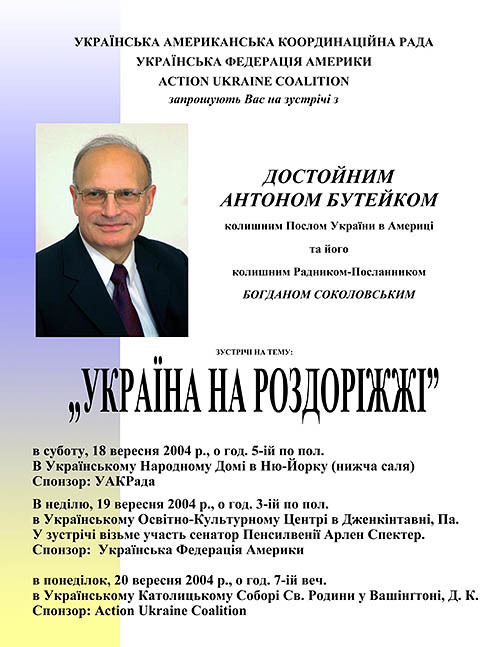 All events will be conducted in Ukrainian with a few featured speakers in English. 140 Second Avenue, bet. 8th and 9th Sts. Mr. Buteiko resigned from diplomatic service in a protest against policies pursued by Ukraine's President Kuchma, in particular against the decision to sign the Agreement on the Unified Economic Space with Russia, Kazakhstan and Belarus.